Share the post "Cafe Mir"
With it being in the low 30’s before I left home for the office this morning, I figured it best to dress warm, and later glad I did considering how cold that north wind was blowing all day. Believe it or not, there is still unmelted snow in shaded areas of our City. After getting out of my car to look at a vacant house this morning, as I turned and looked down, there stood a small bank of snow a few steps away. I looked at it and said, “Don’t you think you’ve been hanging around long enough?” Yes, I have been prone to speak to the in-animates on occasion, only because they don’t sass back. With our soil now growing warm, I’m sure many will be on a burn to get their lawns and gardens cleaned up before our greenery arrives. There’s nothing worse than trying to rake a lawn that already has grass growing. Hopefully this weekend I’ll be seeing all the many out cleaning up their yards. Yes, there are always those who believe it’s not worth the effort, and wait until the grass it tall enough to where all their winter’s yard waste is chopped up during their first mowing. Most don’t realize that a beautiful lawn requires the removal of its thatch build-up. A number of years ago, some asked me how I managed to have such a beautiful green lawn without doing all the normal fertilizing, weeding, and spraying. My answer was always, “I make sure to give it a deep raking in the Spring, along with keeping the mower deck set high enough so that my grass wasn’t being cut too short.” A low-set mower’s cut will not allow the blades of grass to shade the soil, which when exposed to the sun, will dry out much faster, and then leaving the grass struggling for life-giving water. Later today, I went with client of mine to a house he owns just to be a witness when he confronted his tenants who were supposed to be out the first of May. For some reason, they paid no attention to the deadline he’d given months ago, and now believing they’re just going to dig in until they’re forced to move. 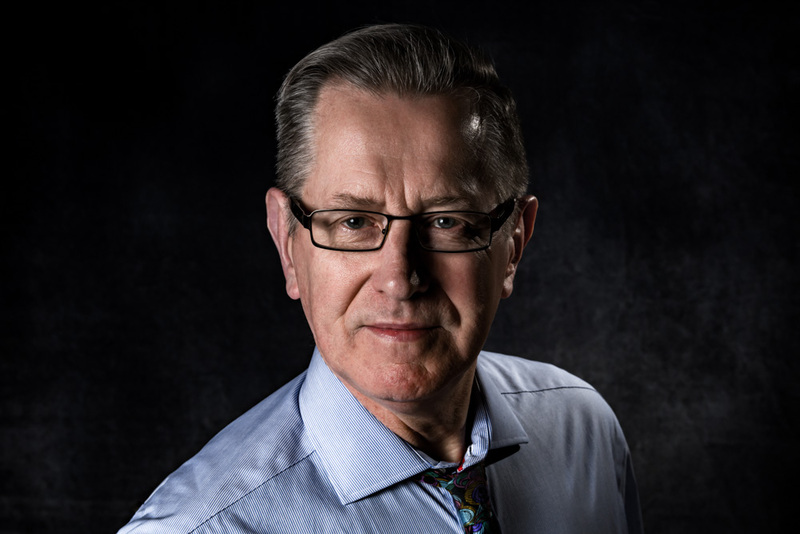 Just listening to those two tenants giving their weak excuses for not moving, reminded me once again how all the many turn their tables due to their own failures, while convincing themselves they’ve become the victims of others. One of them even asked me if I’d help them financially, and my auto-response was, “I’m sorry no, because if I helped everyone who’s come to me for financial assistance, I’d more sooner than later, find myself being pulled very far down a dark financial rat hole which I’d never be able to pull myself out.” He certainly didn’t like my answer, but when you think about it, if we don’t take care of ourselves, how in the yell can we freely and selflessly help others? Today’s late afternoon appointment was at the acreage I have listed at 801 W. Main in Fertile. The showing went exceptionally well, and now thinking about my conversation with the buyers, I won’t be the least bit surprised if they’ll be calling back for a second showing. After discovering their needs, I don’t think they’ll find a better fit for themselves in today’s market. If they do purchase it, there’s no question the town of Fertile will welcome them with open arms. While driving back down Fertile’s main street, I happened to notice their new little restaurant’s interior lights on, but when reading their hours of being open, I considered it to be closed. Since I had my camera with me and ready to take a chance, I pulled to a stop, walked up to the door, and when turning the knob, I found to my surprise it to be open. I walked in and hollered a little in hopes of hearing a return voice. Thank goodness I found the owner and his cook there. I introduced myself, and asked if I could have a look around along with taking a few photos to post for tonight’s article. They were a little resistive until I assured them I wouldn’t be taking photos of un-prepared areas. After all, they weren’t expecting guests let alone a photo shoot. 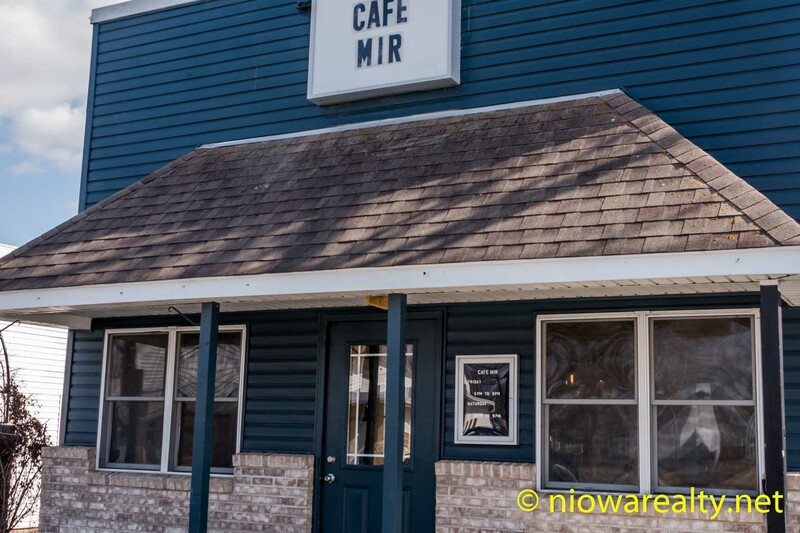 The name of Fertile’s new cafe is, “Cafe Mir” which when translated from Czech would be called, “Peace Cafe”. After our delightful chat along my personal tour, I’d say it was appropriately named. Their dining space has an exceptionally good “feel”, along with their “to die for” view from their back dining room which overlooks the Winnebago River. Of the few closest in-kind cafes or small restaurants in the area that I’ve visited, I’d say the eclecticism of “The Hungry Mind” in our Downtown to be of a similar style contained within Cafe Mir. Without a doubt, I wish the absolute best for “Cafe Mir” because we need all the more home-grown thriving businesses in North Iowa. Why must we drive to Des Moines or Minneapolis when we can find similar restaurant venues in far shorter driving distances? And just remember what I’ve said a number of times before. Quality and ambiance, over quantity and price, is far better in the long run for our minds, bodies, and spirits. Please do give Cafe Mir a try, and then give me your own personal opinion. Tonight’s appropriate one-liner is: Lack of charisma can be fatal.